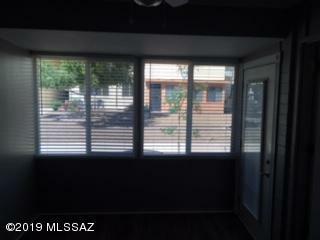 1br w/ AZ room/den & outdoor patio on 1st Floor. 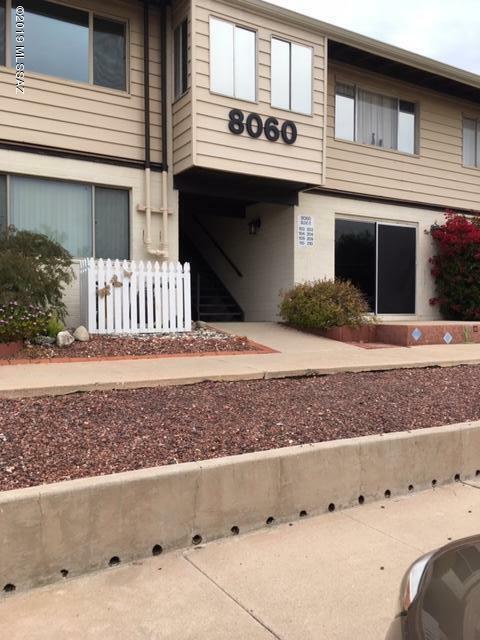 750sf CO-OP condo is completely remodeled. Freshly painted in a modern gray. NEW: windows, cabinets in kitchen, counter tops & laminate floor throughout, shower, microwave, plumbing, electrical outlets & switches replaced, 5 ceiling fans & all new lighting. Refrigerator & flat surface stove stay. Redesigned kitchen to have more storage space. Unit 104 is located in the back of the complex so no Broadway traffic noise. Patio area is always in shade (faces North). On-site pool, playground, & coin-op laundry. HOA is $207 a month includes property taxes, building maintenance, pool maintenance, pest control, water, sewer, gas which includes heat, and trash. Water heater 2009. Swamp cooler maintained once a year by HOA. 1 close parking space. 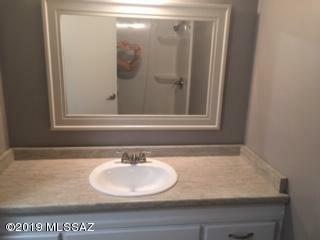 Courtesy of At Home Tucson Realty. 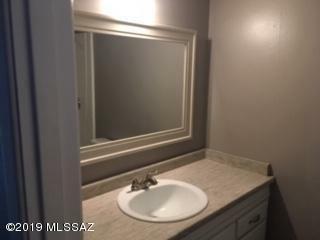 Listing provided courtesy of At Home Tucson Realty. Listing information © 2019 MLS of Southern Arizona.